Woodforest by Johnson Development is a master planned community in Montgomery County, Texas. Is is close to Lake Conroe and offers many amenities for the whole family to enjoy. Many builders are creating homes from the $140’s to the $1MM’s. Some of the builders are Coventry, Darling, DR Horton, Highland Homes, Jeff Paul Custom Homes, Lennar, Meadowlark, Newmark, Partners in Building, Perry, Ryland, Sullivan Signature, and Weaver. The video below will show you what Woodforest is all about and what it can offer you! For more information, please call our office at 281.288.3500 where we have Realtors standing by to help you purchase your next home! 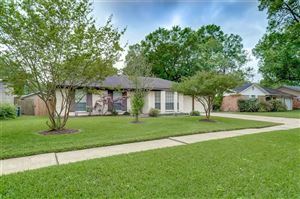 See all Homes for sale in Woodforest. The short url for this page is http://rrea.us/19z.